PLAYMOBIL introduces the 1.2.3. My Take Along Farm, the latest addition to its world of iconic playsets! With a bright and colorful design and large rounded pieces, the PLAYMOBIL 1.2.3. line is especially designed for children 18 months and up. The new 1.2.3. My Take Along Farm features easy set up for hours of imaginative play. Feed the animals and store all supplies in the loft. Pay careful attention to which shapes fit in the holes! When playtime is over, store all the pieces inside the farm, close up and grab the carrying handle to go wherever adventure leads you. This set is bright and features a colorful design and large rounded pieces. The figures can bend, sit, stand and turn their heads. 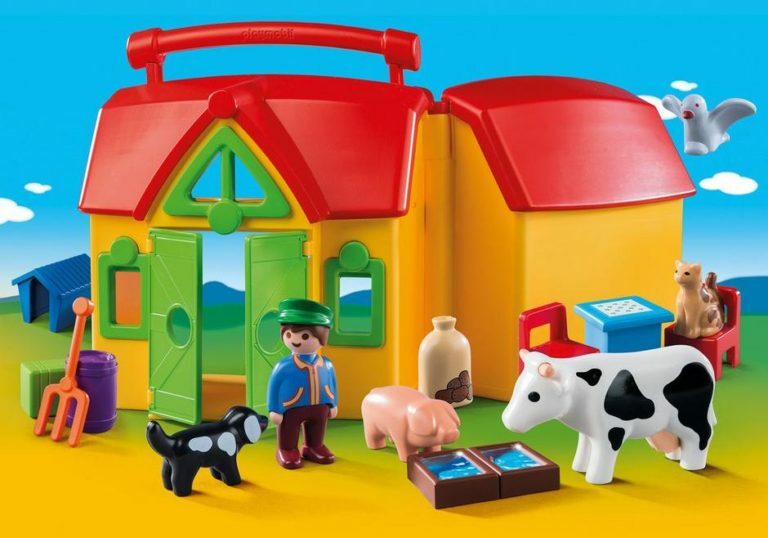 The set includes one figure, cow, pig, dog, car, bird, and other accessories. This set is recommended for ages 18 month. It encourages children to learn, explore and have fun. Kids can use fit the accessories into the shaped holes. It allows them to use their imagination and their thinking skills as they try and plug the milk jug, table, through the holes. Children can play with this set on its own, or combine with other PLAYMOBIL sets for hours of fun. This would make a great gift for any little one. Perfect for an Easter gift! Reminds me of the toys I had as a child! Now the younger siblings can play with toys that remind them of their big brother or sister's toys! A toy that is built to last! 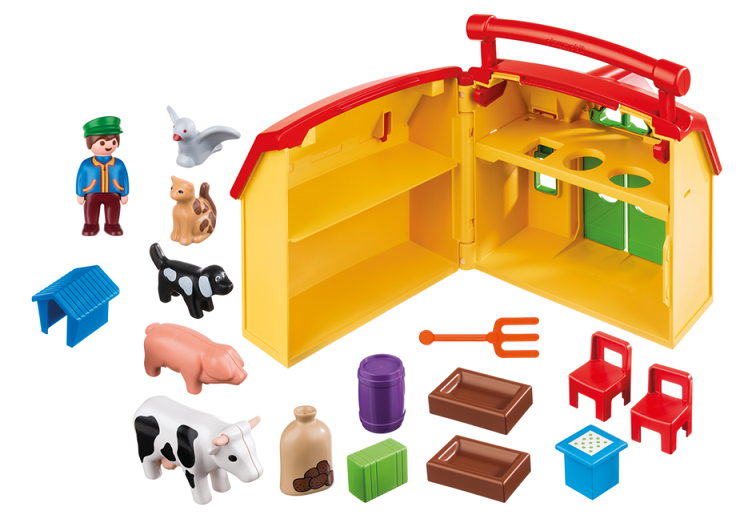 Kids will have fun bringing the farm inside and playing with it!